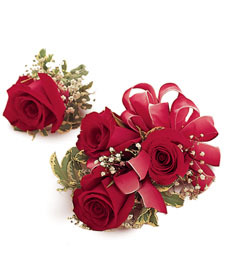 Radiant and rich, these exquisite red roses brim with elegance and grace. Classically beautiful, these velvety, vibrant blooms make a sweet smelling and breathtakingly lavish gift! 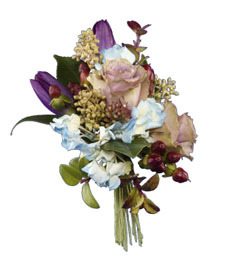 Lovely shades of lavender and white sparkle from this beautiful bouquet of fresh flowers! 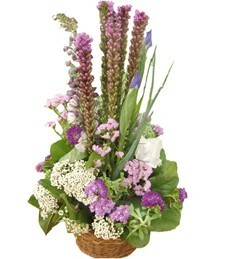 Sweet floral scents and breathtaking appeal will fill any room, making these brilliant blooms an utterly perfect gift! 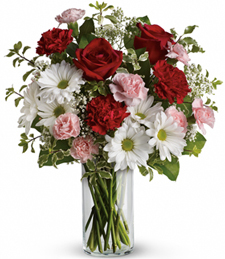 What a better way to show Love and Affection than with an array of sacred shimmering blooms in shades of white, pink, and red. Don't let that special moment pass with that special someone. Hold onto it forever with a token from your genuine heart. Pristinely pure and sublimely stunning, this assortment of whimsical white roses exudes nature's brilliant beauty and grace. 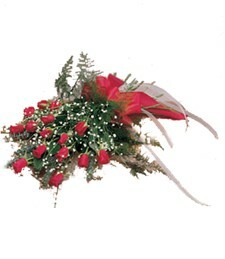 This medley of blooms makes a heartfelt and truly memorable gift! A stunning simple beauty hold a special charm of its own. Daisy dreams charms that special someone with a country beauty of simplicity. Sweet scented florals of hot pink, white, and yellow are a match made in heaven! Jump for joy and open your heart to a Circus of Roses! 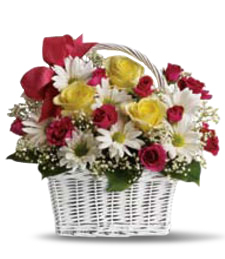 It�s the arrival of a memorable time in their life with a token of your sincerest affection. Let them shine inside the realm of love and touch their heart forever. 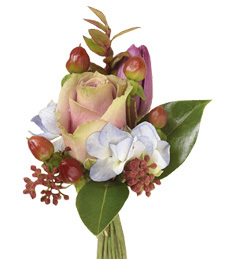 The staple of classic style, this elegant corsage and boutonniere is the final touch to your big event. Red and hot pink air that sassy style that everyone at the prom with be talking about. Be the talk of the room with a little bit of furturistic style that can't be beat! 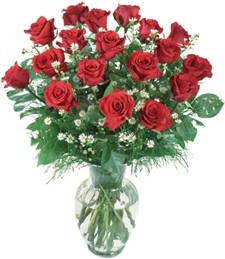 Richly red, ravishing roses sparkle with classic beauty and supreme elegance from this overflowing bouquet! 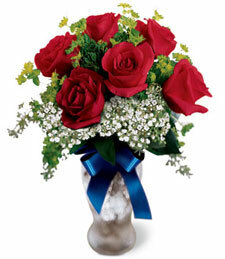 Velvety and vibrant, these brilliant blooms make a truly unforgettable and breathtaking gift! 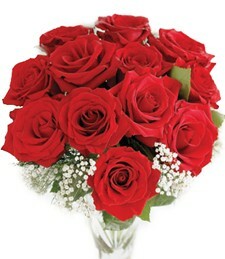 Richly red and radiant, this exquisite array of one dozen dazzling roses shimmers with supreme beauty and grace! Vibrant and velvety, these brilliant blooms are sure to make a spectacularly special gift! 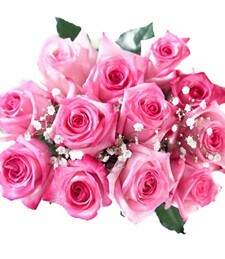 Shimmering with pure grace and pristine beauty, this array of 12 pink roses showcases nature's majesty and wonder. 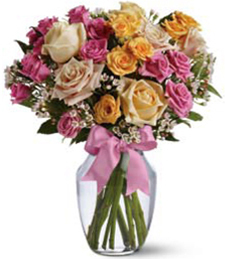 Breathtaking appeal and sweet floral scents make these blooms a truly dazzling gift! 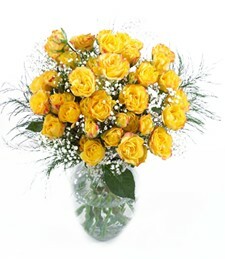 Velvety, vibrant roses in sensational shades of gold and yellow brim with vivid beauty and lively charm! Guaranteed to light up any room and make it sparkle, these brilliant blooms are a wonderfully beautiful and sweet smelling gift! 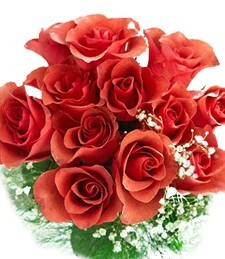 Sensational shades of rich red and captivating coral spring to life from this assortment of ravishingly radiant roses! Velvety and vibrant, these brilliant blooms will fill any room with bright cheer and sweet scents, making them a truly perfect gift! 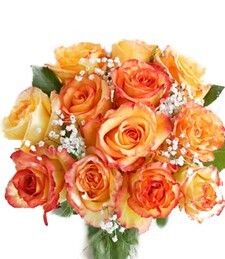 Velvety and vibrant, this colorful assortment of orange, peach and yellow roses sparkles with supreme beauty and charismatic charm! 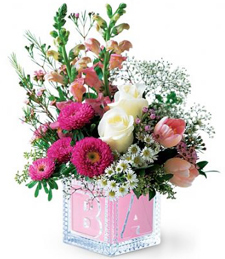 Sure to brighten any day, these blissful blooms make a truly luminous and breathtaking gift! 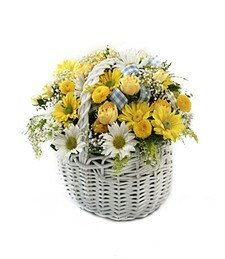 Bright and cheerful, like a vibrant spring garden, this darling white wicker basket brims with vivid flowers in sunny shades of yellow and white! Sure to light up any room, these lively blooms make a delightfully charming gift! Bring a touch of natural sparkle to this momentous occasion with an exquisite assortment of pristinely pure pastel petals! Fresh, beautiful and delicately vibrant, these blissful blooms are a perfect touch to this special day!